Cadnam Garage Services carry out timing belt replacements and cambelt repairs in Cadnam, Southampton and the surrounding local areas. Unlike the other mechanical components of your vehicle, cambelts are prone to natural “wear and tear” over prolonged mileage and / or periods of time. This heavily depends on the type of cambelt, as well as the make and model of your car. The majority of car manufacturers list their recommendations in the car’s operating manual. Should you be unable to find this information, we would advice you to call us today on: 02380 812159 and speak with our mechanics. At Cadnam Garage Services, we ensure all cambelt replacements are completed to the strictest of standards. 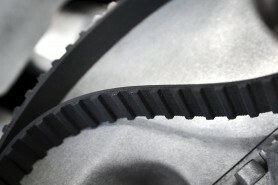 We make sure the cambelt isn’t too tight or too loose, to stop the belt wearing out or snapping prematurely.